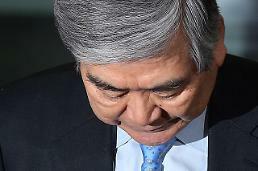 SEOUL -- As Korean Air cannot but hide its embarrassment at the failure of Hanjin Group Chairman Cho Yang-ho to get re-appointed as an executive director, South Korean Korean conglomerates are holding their breath under the bruised blade wielded by the National Pension Fund (NPS). This incident is expected to be a major turning point in the Korean-style owner management system. 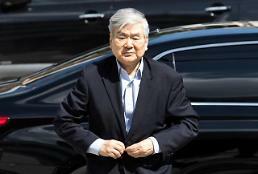 This is the first case in which the public pension fund has directly taken away the management rights of a chaebol head. There is also an assessment that it established a system to expel owners at any time if they are not capable or have problems with morality. With the exercise of shareholding rights by the NPS, industry attention is focused on whether a professional management system can be established at home like Europe or the United States. According to the aviation industry on March 27, the re-election of Hanjin Group Chairman Cho Yang-ho as an executive director was rejected at the 57th general meeting of shareholders held at Korean Air's head office in Gangseo-gu, Seoul. Although 64.1 percent of shareholders voted in favor, it did not exceed two-thirds of the quorum in the articles of incorporation. The NPS played a decisive role by voting against re-appointment as the second-largest shareholder, which has an 11.6% stake in Korean Air. 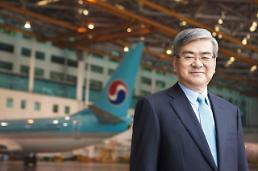 "Management rights have not been lost," Korean Air said. "Even in the case of Samsung, there were many ways to exercise management rights even as a non-executive director." Korean Air needs Cho's leadership for the International Air Transport Association (IATA) General Assembly in Seoul on June 1. As Cho steps down, Cho Won-tae, the owner's sole family member on the board, seems to be on the test stand. The business world could not hide its embarrassment at the NPS, which has gained its influence. Especially, companies implicated in Gapjil feel uncomfortable. This is because, as in the case of Korean Air, unfair corporate support practices and embezzlement of corporate profits by the family of executives are considered to be important issues affecting corporate profits. POSCO, GS E & C and KT are among companies in which the NPS stake is more than 10%. In Daelim Industrial, which has been the subject of controversy over Gapjil, the NPS is the second largest shareholder with a 13.2% stake. The Federation of Korean Industries (FKI) also expressed regret and concern about the decision of the shareholders including the NPS. The FKI said in its official statement, "We are worried that the NPS decided against re-appointment due to social controversy, although it should have taken a cautious stance in consideration of shareholders' interests and value." "It is regrettable as it not only ran against the principle that anyone should be presumed to be innocent until a ruling is made but also it should be more cautious due to concern in the market about pension socialism," the FKI said. It also pointed out, "Corporate governance should be no longer shaken so that companies can make long-term, stable investments." 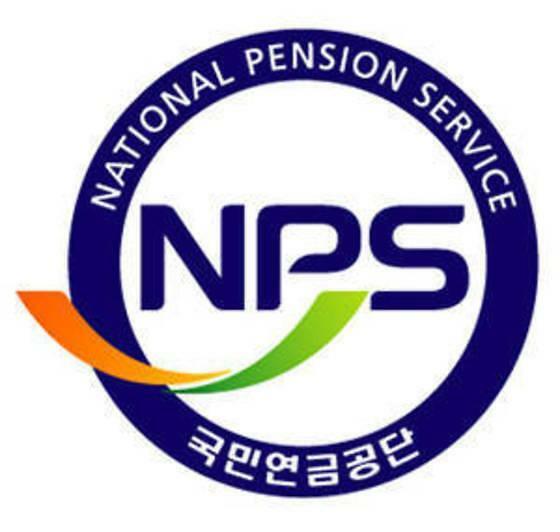 The Korea Employers Federation (KEF) has also issued a statement strongly condemning the NPS. The KEF said, "It was a subjective and political decision that the NPS was opposed to the re-election of Chairman Cho Yang-ho." The NPS, which has the essential role of securing the profitability and stability of the old age fund, should not repeat an act of shaking corporate management rights." The most common reason for Cho's failed re-appointment as an internal director is the controversy over morality. The NPS applied a "stewardship code (principle of institutional investor's liability)" to oppose director candidates who have a history of violating corporate value or shareholder rights of Korean Air, which has been under fire for a series of affairs such as "Peanut return", "Water cup Gapjil", and "assault and rant." In order to remove Cho as an in-house director, the NPS actively led the mood by publicizing the pros and cons of the general shareholder meeting. It was possible to create a preliminary atmosphere this year because the NPS was able to announce the agenda and issues decided by the trustee committee in advance of the general shareholders meeting for a company with a stake of at least 10% or a company with a stake of at least 1% in the domestic equity capital group. Foreign shareholders (20.50%) and other shareholders (34.59%), including minority shareholders, held a casting boat and the atmosphere was already like being unable to reappoint him.